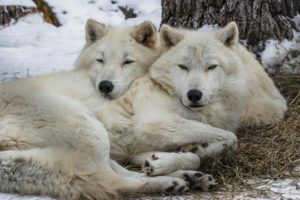 The US Fish and Wildlife Service says wolves have exceeded recovery goals and should be delisted from the Endangered Species Act. A public comment period on the matter closes soon. Click below to file your comment. Planning for Pups program is June 7-9! Spend a weekend learning about the plans for new pups for the Exhibit Pack and discover the skills and dedication necessary to be a pup care program participant in 2020. For members only! Due to the severe weather in the Twin Cities, we have made the decision to postpone the Howl at the Moon Gala. The safety of our guests is our utmost concern. As soon as additional information is available and a new date is determined we will make an announcement with additional details. On Friday, we received an update from Isle Royale National Park on how the wolves recently moved there are doing. Click ‘Learn More’ below to get the latest. A new video chronicles the amazing efforts that took place in March to move six wolves from Michipicoten Island and one from the Canadian mainland to Isle Royale. The International Wolf Center played a key role in the project, thanks to your support! If federal protections are removed for wolves, what is next? The International Wolf Center will follow the potential effects of delisting wolves from the Endangered Species Act. Aidan and Denali were born on April 27, 2008 and have experienced much in their lives. 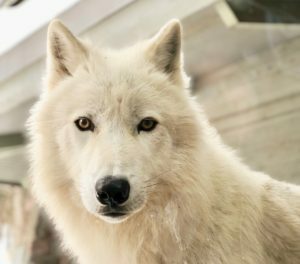 The winter of 2018 saw some testing behavior that led to Aidan’s retirement while Denali stayed in the Exhibit Pack. Join us for this one-hour webinar as we celebrate their 11th birthday and broadcast from the Exhibit Pack, Retired Pack or both. Planning for Pups – Members Only– 6 seats remaining! Time: Friday 5:00 p.m. – Sunday 12:00 p.m.
Time to unplug your kids from the virtual world and reconnect them with the real one by joining us at our two day Jr. Wolf Biologist Mini-Camp. Participants will learn about wolves and other animals through hands-on outdoor activities during this summer time program! 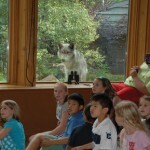 A full weekend of family fun showcases the best of what the International Wolf Center and Ely has to offer. The Wolf Family Rendezvous program includes three days of free admissions to the International Wolf Center, private lessons about wolves, private wolf viewing time before and after the Center closes to the public, a hike in the Superior Natural Forest, a pizza dinner and admission to the popular Saturday night ‘What’s for Dinner?’ program at the Center. 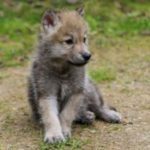 International Wolf Center members drive the effort to teach the science-based facts about wolves. 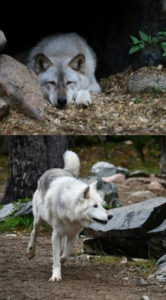 A membership to the International Wolf Center makes a perfect gift for any wolf enthusiast. Thank You for Your Interest in Supporting Wolves!